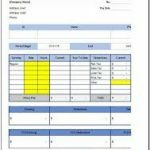 This free mileage log template is very vital when it comes to the vehicle of your companies or businesses. It’s a way to track the performance of the vehicles and to record or register the miles it takes for that vehicle to get from one place to another. It’s very important, especially if you’re a person who likes to keep track of their vehicles. 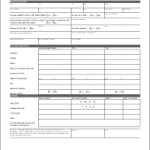 With this free mileage log template, you’ll be able to make sure that the vehicles that are being used by the company or by a specific employee is well tended for, especially in terms of how long that vehicle has traveled in days, weeks, months or years. The mileage log template is very specific in its details and information because if there are any errors or mistakes, it might be costly for the supervisor or the company itself. Now with the template for keeping track of the performance when it comes to your vehicle, a specific section for the personal information regarding the people involved with the vehicle itself. This includes the supervisor and the employee. Their names are disclosed in the form along with their position in the company, which makes it easier for the people-in-charge to track them down if there are any questions regarding the mileage log. After the names is the department name along with the description of the vehicle, which will be prove very useful because there will be less hassle if there are any duplicates and etc. On the other side of the personal information is a simple breakdown of the details regarding the mileage, which includes the duration of when the vehicle will be used, their specific start and end dates, the rate-per-mile, start odometer, end odometer, a conversion from business miles to actual miles, reimbursement, business percentage and a small pie graph showing the percentage of its usage for business purposes. 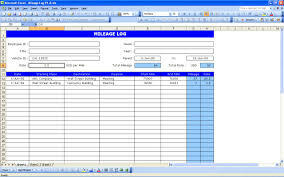 Below the personal information and the breakdown of the details of this mileage log template is the table for the log itself, which has all the required components such as the date, the business purpose, starting place, destination, the odometer which is the instrument required to measure the distance travelled by the vehicle, and the business miles, which is practically a conversion of the distance measured by the odometer. With this table, you will be required to write in very specific details so there won’t be any errors or mistakes on your part. Also, there’s a second sheet available, which states that the data should only be entered on the white cells rather than the blue cells.